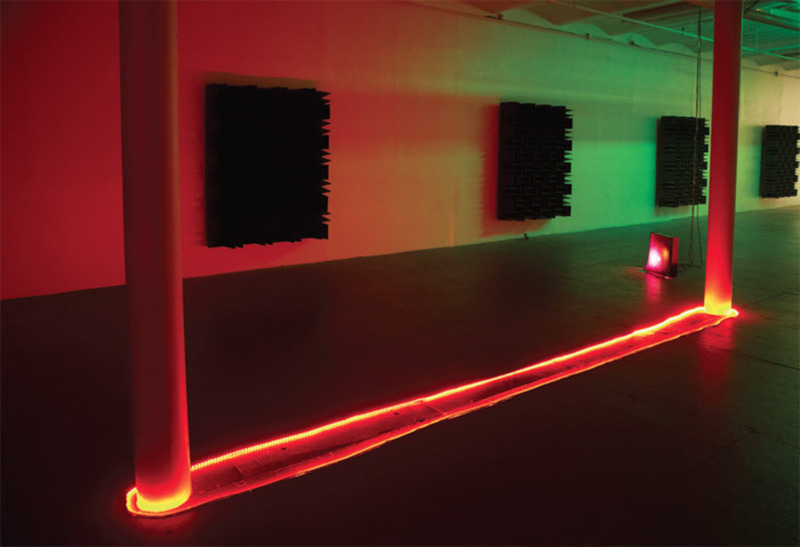 View of “Haroon Mirza,” 2012. For his first New York solo exhibition, curated by Gary Carrion-Murayari and Jenny Moore, British artist Haroon Mirza stocked the New Museum’s next-door storefront space with signal emitters. Studio speakers issue modemlike trills, junk-shop televisions flash syncopated bursts of white noise, and strips of LED lights intermittently douse the room in red, blue, or green. It is an installation that doubles as a concert, a pulsing electric fugue.